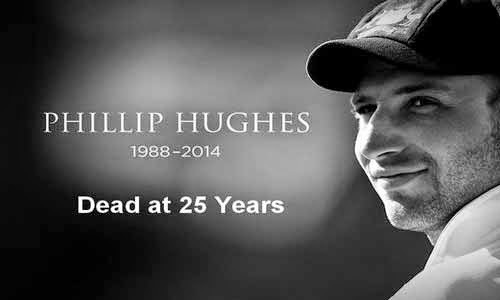 Australian Cricketer Phillip Hughes who were seriously injured in Sheffield Shield match by a brutal bouncer on head has been died today in hospital. He was treated in St Vincent's Hospital Sydney since two days but he was not survived more. Hughes was playing in the opening day of a Sheffield Shield match between New South Wales and South Australia on Tuesday when he attempted to pull a short ball from NSW paceman Sean Abbott. The ball struck Hughes in the back of the head, causing him to collapsing face first onto the pitch. He was taken to St Vincent’s Hospital and operated on for brain swelling and placed in an induced coma.